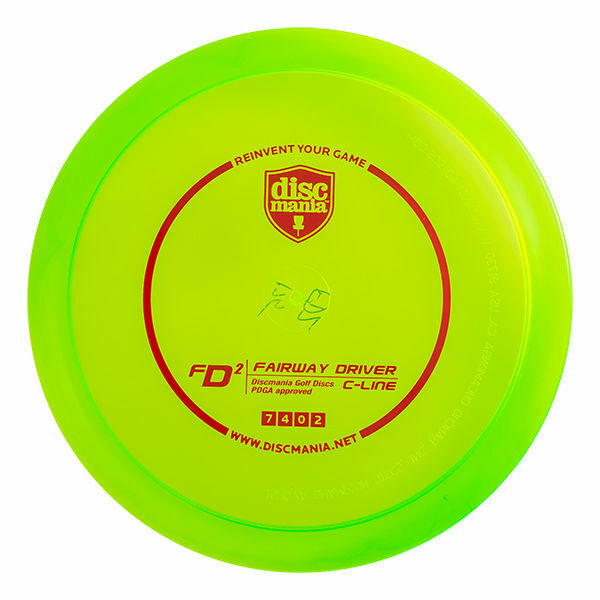 The FD2 is a reliable speed 7 workhorse fairway driver for all skill levels. It's not too glidey to avoid you from sailing off-target and it has a low-speed fade you can depend on. Packed with a nice amount of high speed stability, this disc gives you nice straight lines when thrown flat and hard. The more power you put behind this disc, the straighter lines you will see it perform. When thrown more gently, the fade will kick in earlier in flight making cutting corners easier. The C-line FD2 is partially a result of the great feedback Discmania got from their more experimental 2nd run the C-line FD. A lot of players seemed to take a liking to the flight path of this "Big Boy FD", that can hold a straight line when thrown hard and flat while still providing a reliable fade at the end of the flight. The FD2 mimics this flight pattern very well, with the exception of being a little more reliable in windy conditions, thanks to a bit more fade and less glide.